"Since its original introduction in 1997, the Unified Modeling Language has revolutionized software development. Every integrated software development environment in the world--open-source, standards-based, and proprietary--now supports UML and, more importantly, the model-driven approach to software development. This makes learning the newest UML standard, UML 2.0, critical for all software developers--and there isn't a better choice than this clear, step-by-step guide to learning the language." If you're like most software developers, you're building systems that are increasingly complex. Whether you're creating a desktop application or an enterprise system, complexity is the big hairy monster you must manage. Engaging and accessible, this book shows you how to use UML to craft and communicate your project's design. Russ Miles and Kim Hamilton have written a pragmatic introduction to UML based on hard-earned practice, not theory. 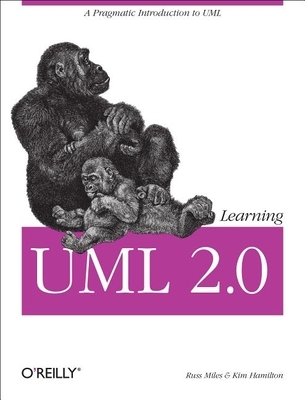 Regardless of the software process or methodology you use, this book is the one source you need to get up and running with UML 2.0. Russ Miles is a software engineer for General Dynamics UK, where he works with Java and Distributed Systems, although his passion at the moment is Aspect Orientation and, in particular, AspectJ. Kim Hamilton is a senior software engineer at Northrop Grumman, where she's designed and implemented a variety of systems including web applications and distributed systems, with frequent detours into algorithms development.